Do the bulls have another 'V' in their bag of tricks? Investors in Kongzhong Corp saw new options begin trading this week, for the May 17th expiration. At Stock Options Channel, our YieldBoost formula has looked up and down the KONG options chain for the new May 17th contracts and identified one put and one call contract of particular interest. Keep these Chinese stocks trading on unusual volume on your radar. Don't confuse a rest with topping action. Keep these tech stocks on your radar. Investors in Kongzhong Corp saw new options begin trading this week, for the October 19th expiration. At Stock Options Channel, our YieldBoost formula has looked up and down the KONG options chain for the new October 19th contracts and identified one put and one call contract of particular interest. 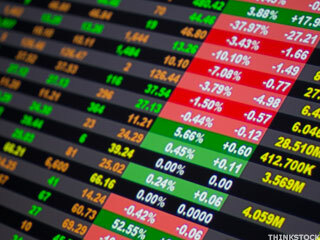 Shares of KongZhong Corporation (Nasdaq:KONG) have taken a tremendous swing upward. The stock is trading at $5.14 as of 10:05 a.m. ET, 21.3% above Tuesday's closing price of $4.24. Volume is at 212,682, 5.8 times the daily average of 36,400. Chinese Internet stocks and Brazilian utilities were among emerging-market winners last week. Shares of KongZhong notched big gains on the company's quarterly results, while China solar stocks were big losers.